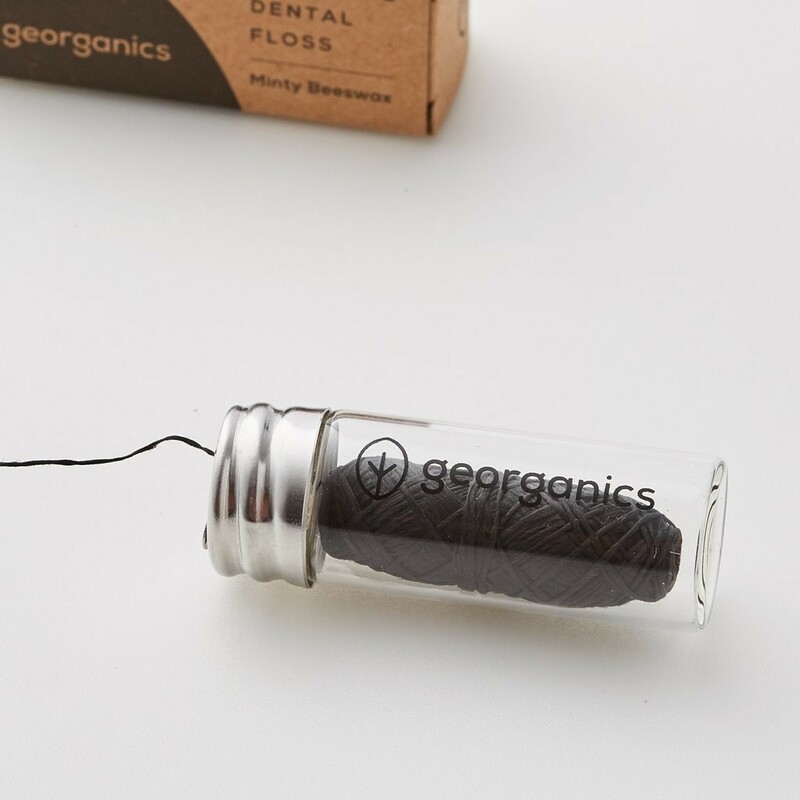 Refill your Georganics glass jar with this natural dental floss from Georganics. 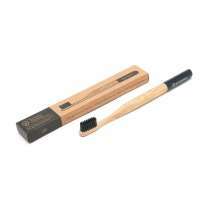 This pack contains two refills, each measuring 30 metres giving you a total of 60 metres of floss. 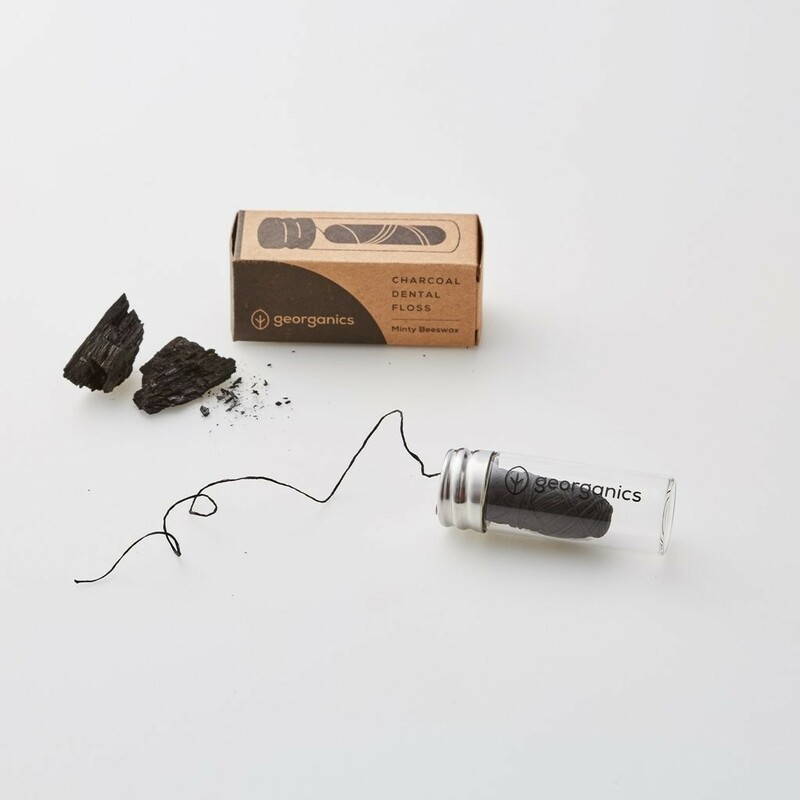 The refills are sized to fit perfectly in the Georganics glass jar. 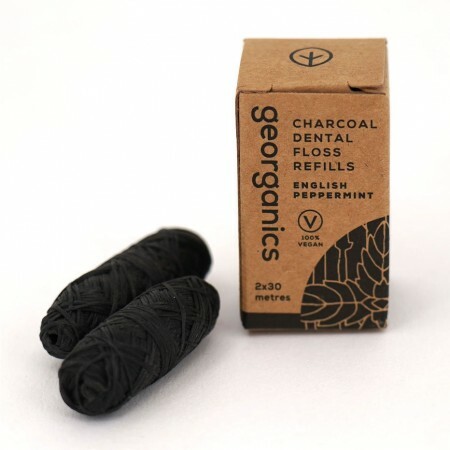 This natural dental floss from Georganics is made using bamboo charcoal, candedilla wax and peppermint essential oil to give the floss a refreshing minty taste. 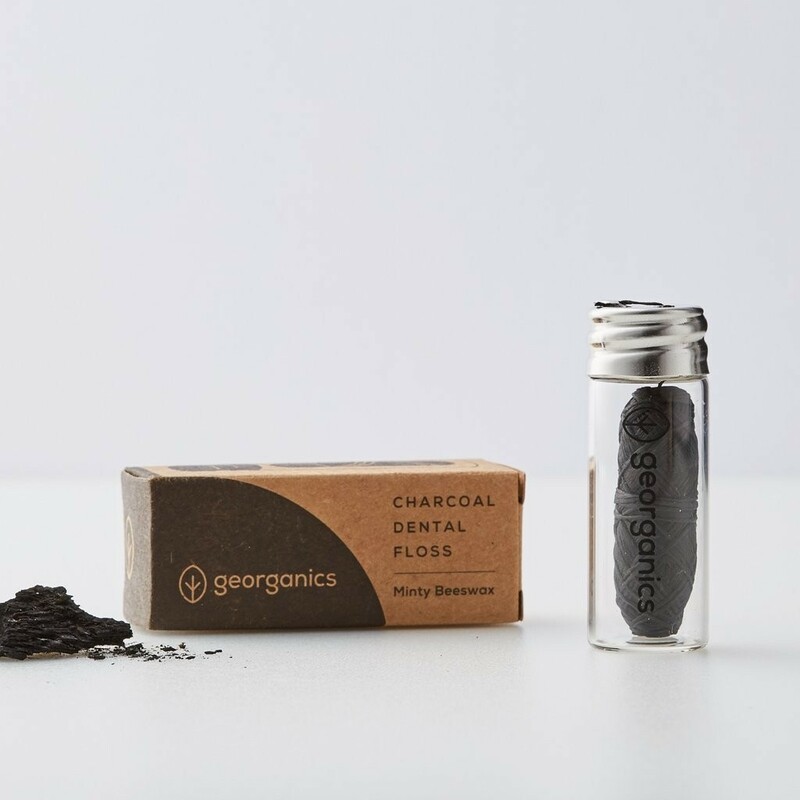 The charcoal dental floss absorbs and binds bacteria together and helps reduce tooth staining, leaving your teeth feeling clean and refreshed. Combine the floss with other products from the Georganics range for a completely natural oral care experience. Made using 80% Bamboo Charcoal Fibres and 20% Polyester Yarn. 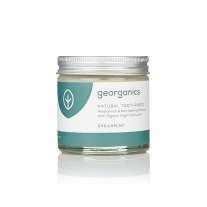 Georganics were founded in 2014 with the aim of creating a range of oral care products that are completely natural. 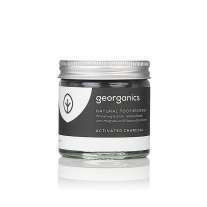 All Georganics products contain only natural ingredients and are all 100% cruelty-free and are environmentally sustainable. 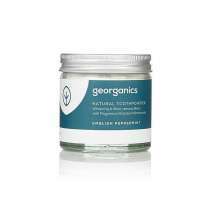 All the ingredients used by Georganics are ethically sourced and their products are all ethically made by hand in the UK.